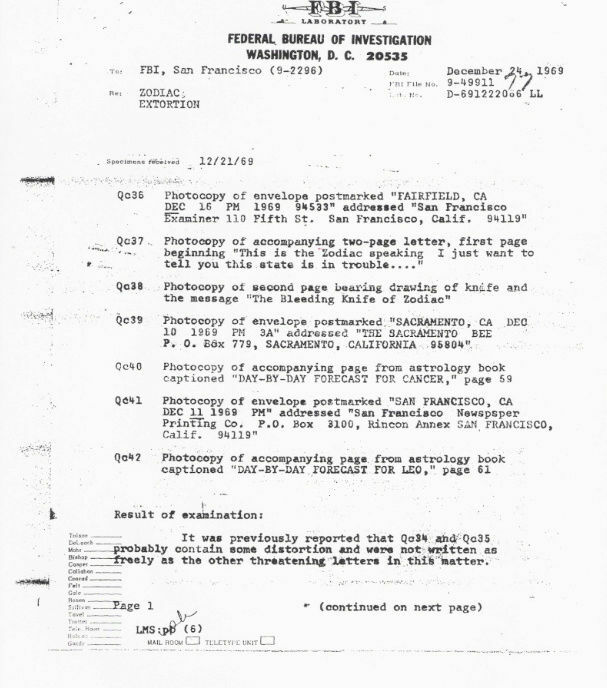 Page 2 of the letter contained this drawing, "The Bleeding Knife of Zodiac"
The DAY-TO-DAY FORECASTS were taken from an astrology book, title unknown. 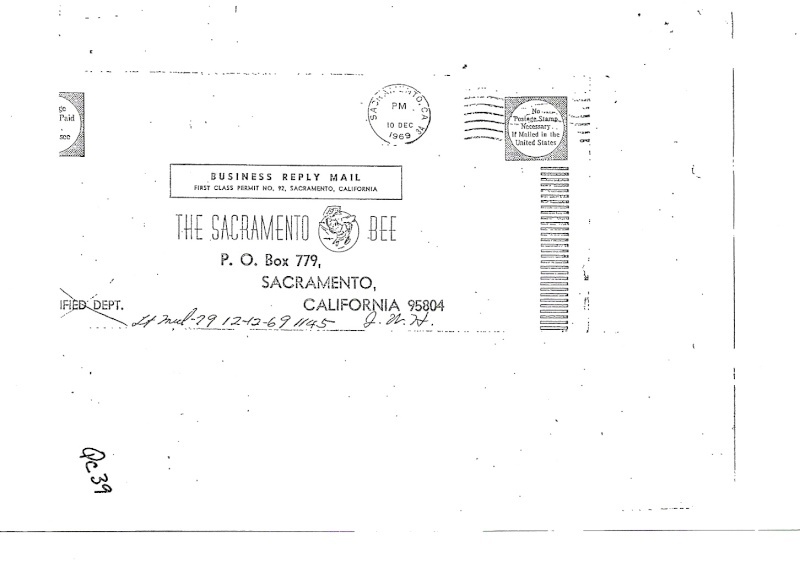 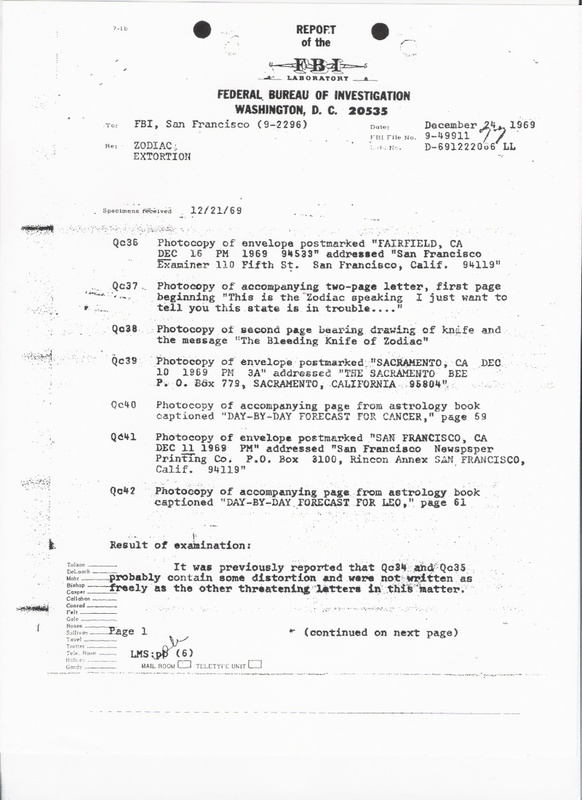 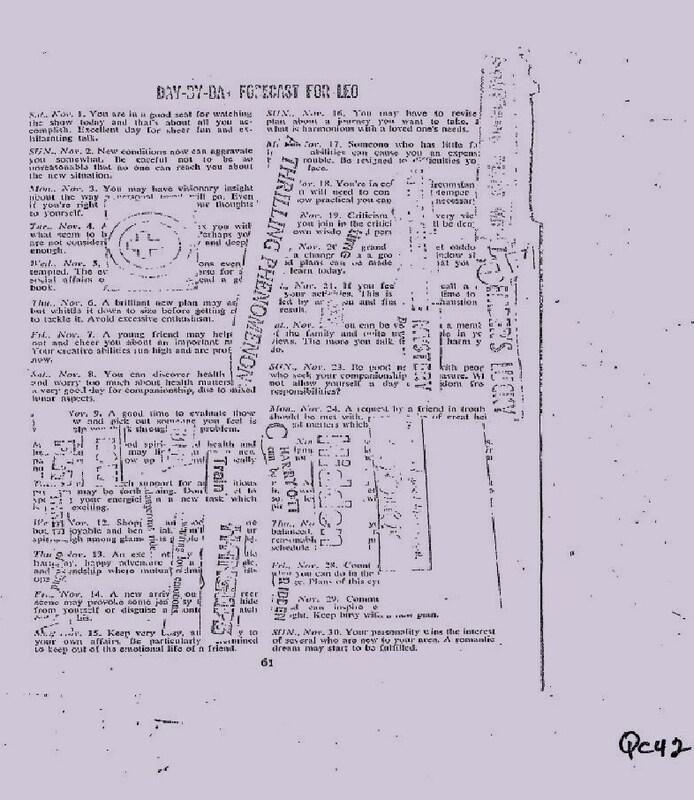 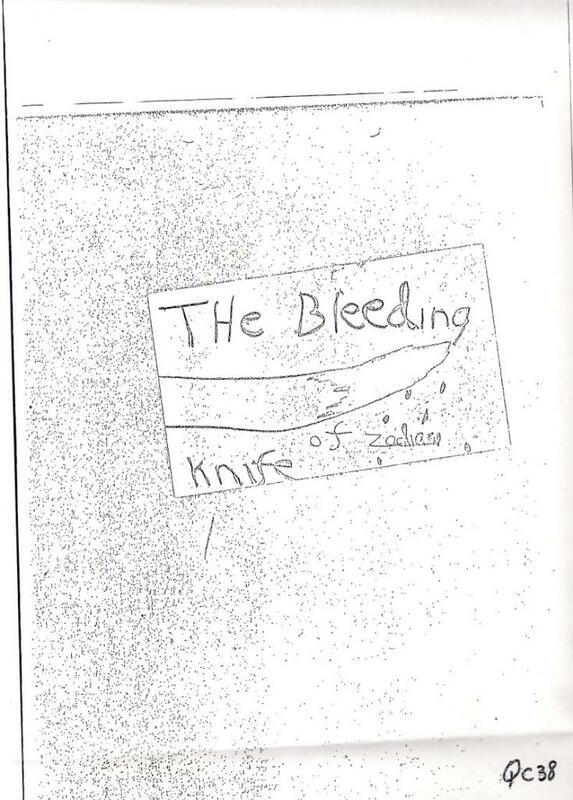 I personally think the handwriting on the 'Bleeding Knife' is a perfect match and that this is a legitimate Zodiac letter. 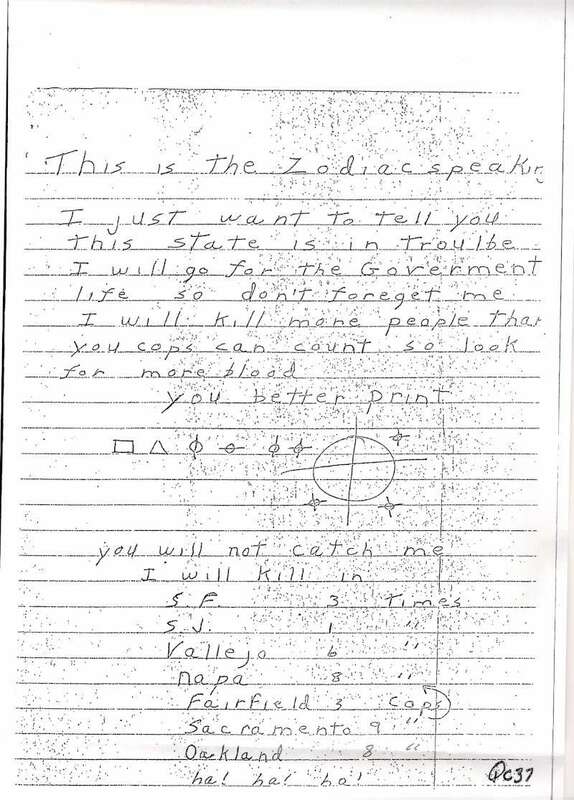 The Day-To-Day Forecasts if they are actually from Zodiac probably have some clues in there. 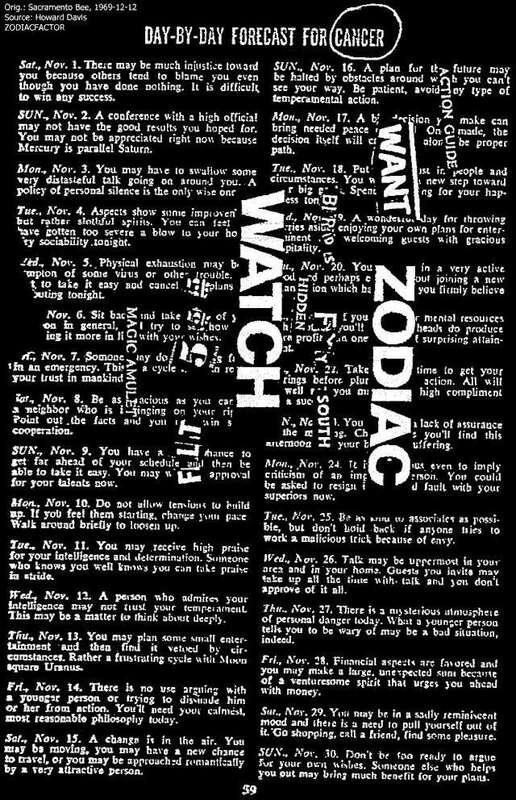 Take the "Day by Day for Cancer" and examine the "Want" in "Want - Zodiac" with the last for symbols in the "My Name is..." cipher.